This pie is best served the same day it is made. I tried chilled leftover pie and it wasn't my favorite, so I would recommend making this fresh the same day you plan on serving it. I cut the recipe in half to only make one pie, but the recipe below is the full recipe which makes 2 pies. My preference would be to serve this while it is still a little bit warm, or at room temperature, with fresh whipped cream. Enjoy! Notes: I actually had a major goof on this recipe. 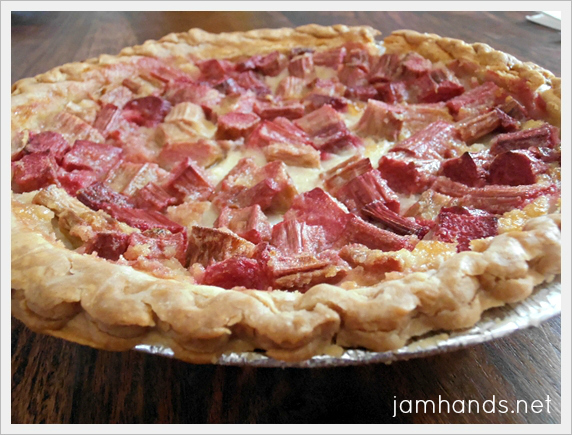 I baked it in a premade pie shell which was not even necessary as it forms a crust all on its own. Next time around I would skip the premade crust, there is really no need for it. Also if your pie plates are very shallow, consider putting foil or a baking sheet underneath the pies to save yourself cleanup from any spillage. 1. Grease or spray 2 large pie plates. 2. 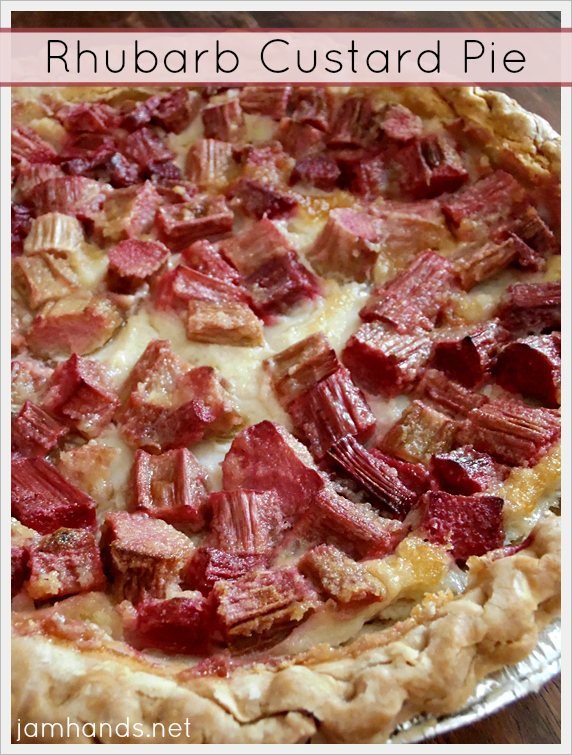 Scatter the rhubarb pieces in the pie plates. 3. In a large bowl combine the eggs, melted butter, flour, milk, sugar and vanilla. Mix with a handheld mixer until combined well. Pour over rhubarb. 4. Bake for 1 hour 10 minutes at 350-f degrees.